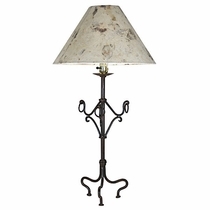 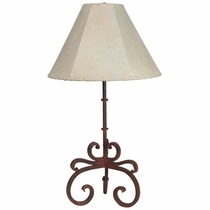 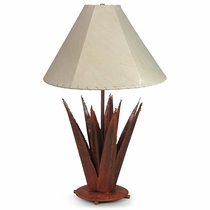 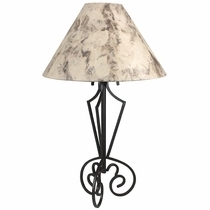 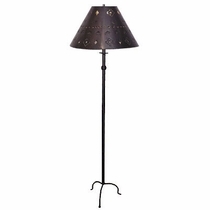 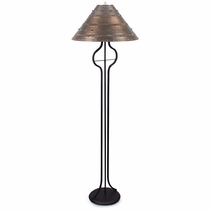 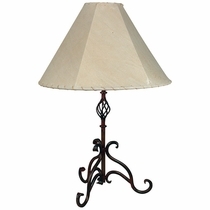 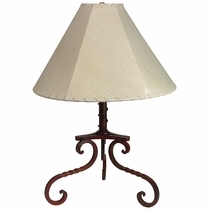 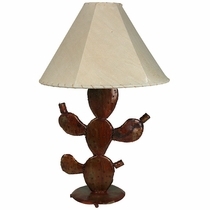 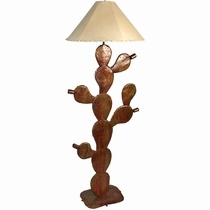 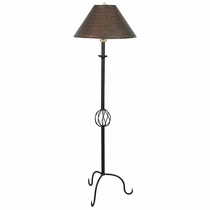 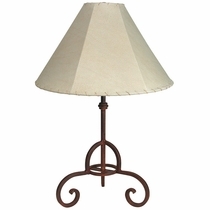 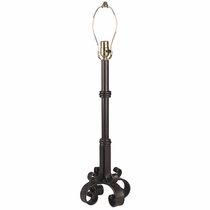 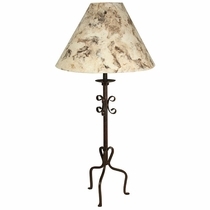 Our wrought iron floor lamps and table lamps are handmade with care by talented artisans in Mexico. 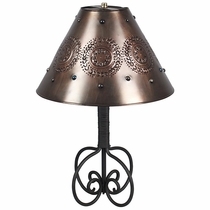 The visual strength and beauty of these rustic iron lamps makes them the perfect room accent for your rustic or southwest decor. 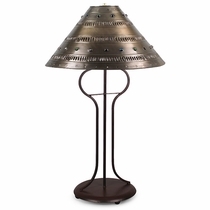 Each hand crafted shade from Mexico was chosen to compliment the metal design and intricacies of the hand crafted stand. 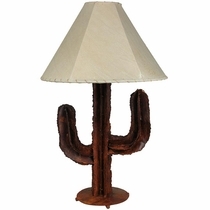 Some lamps are understated; some are artistically robust but all easily compliment Spanish Colonial, Santa Fe, Western or rustic Mexican decor. 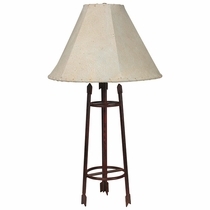 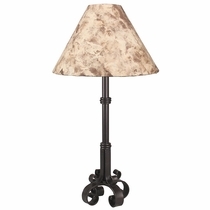 All lamp bases are finished in a rustic brown and sealed to bring out their rustic beauty. 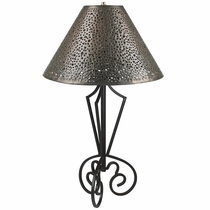 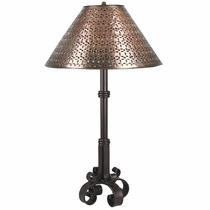 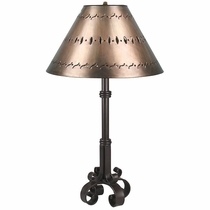 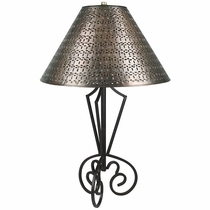 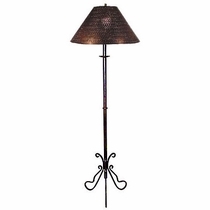 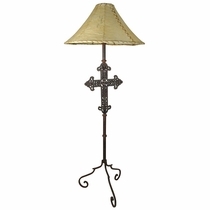 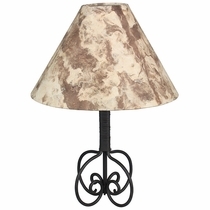 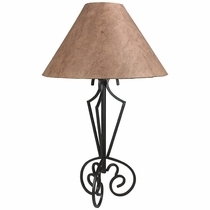 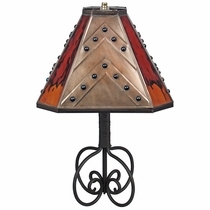 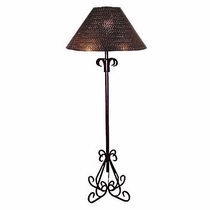 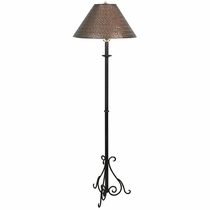 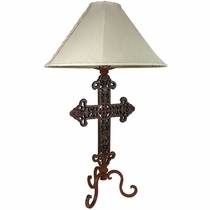 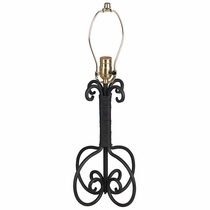 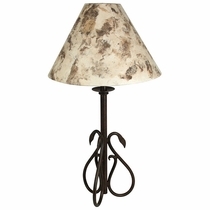 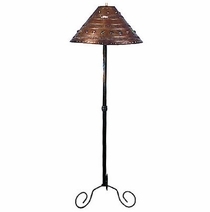 Create the style and allure of the southwest and colonial Mexico in your home with these beautiful wrought iron lamps. 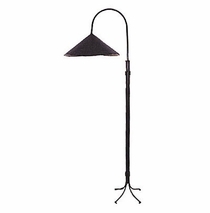 • Wired with UL listed parts, but they are not UL Listed lamps. 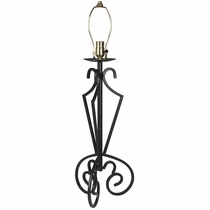 • Hand forged wrought iron with painted rustic finish. 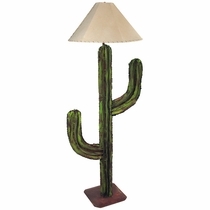 NOTE: Lamps do not include bulbs. 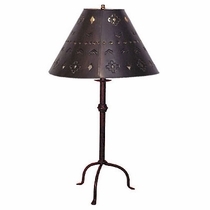 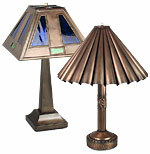 Be sure to check out our Rustic Tin Table Lamps. 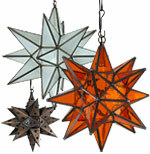 See our assortment of Mexican Hanging Star Lights and Ceiling Fixtures. 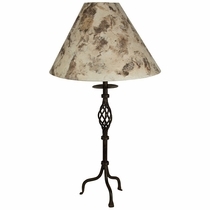 Lamp Base Only - No Shade. 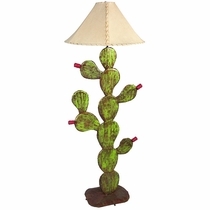 Temporarily Unavailable - Out of Stock.